The United States has admitted only five Syrian Christians since Oct. 1, when the administration began to implement President Obama's directive to accept 10,000 refugees. Christian refugees account for 1.6 percent of the total number of arrivals this year thus far, according to Worldwide Refugee Admissions Processing Systems. Three Syrian Catholics, one Syrian Christian and one Orthodox Christian have arrived in the country since Oct. 1, according to Washington Free Beacon, which quoted data from WRAPS. Since January, 1, 875 Syrians have arrived, and only 30 of them are Christian, the data shows. Of the total arrivals, 1,833 – or 97.8 percent – are Muslims, it added. Since the civil war against Syrian President Bashar al-Assad began in 2011, 2,370 Syrian refugees from that country have arrived in the U.S.
About 10 percent of the population in Syria is Christians, and the Christian minority is among the main civilian target of the Islamic State terror group, also known as ISIS or ISIL. More than 700,000 of Syria's Christian population of 1.1 million have been displaced by ISIS, an offshoot of al-Qaeda which is seeking to establish a caliphate in the Levant region and beyond. The Beacon quoted a State Department spokesman as responding that the percentage of Christian refugees arriving in the U.S. is coincidental because "we can't predict exactly who is going to apply" for asylum. While it is official department policy not to take religion into consideration when considering refugee admittance, a persecuted religious population may be given preference. "The emphasis of our refugee admissions program is on helping the most vulnerable. Many of those we are currently assisting are Christians, Yazidis, and other religious and ethnic minorities from Iraq and Syria," the spokesman was quoted as saying. "It is unclear how many Christians have left the country; however, it is estimated that they make up a small percentage of the Syrian refugee population. UNHCR identifies refugees for resettlement based on vulnerability, which may include belonging to a religious or ethnic minority." After the ISIS attacks in Paris on Nov. 13, which killed at least 130 people, the House of Representatives overwhelmingly passed a legislation to halt the admittance of Syrian and Iraqi refugees until tighter security measures by federal authorities can be implemented, to counter Obama's plan to admit 10,000 Syrian refugees. Many governors, mostly Republican, have objected to the arrival of Syrian refugees in their states, citing security concerns. 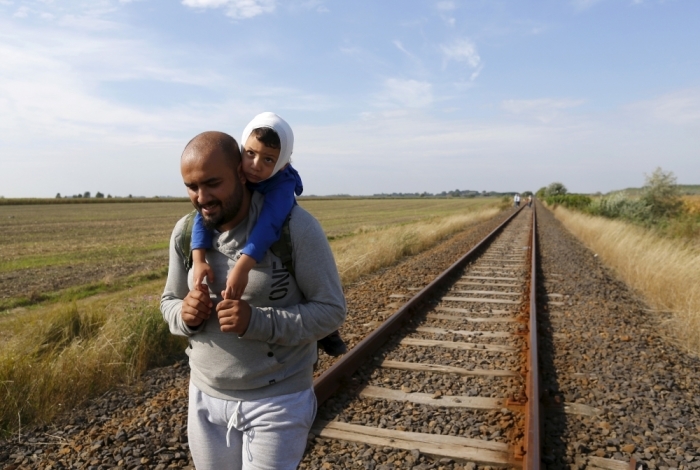 Some believe it is safe only to allow Christian refugees to resettle in the United States. Obama reacted to such calls Monday. "When I hear folks say … well maybe we should just admit the Christians but not the Muslims, when I hear political leaders suggesting that there would be a religious test for which a person who's fleeing from a war torn country is admitted, when some of those folks themselves come from families who benefited from protection when they were fleeing political persecution, that's shameful," Obama said.